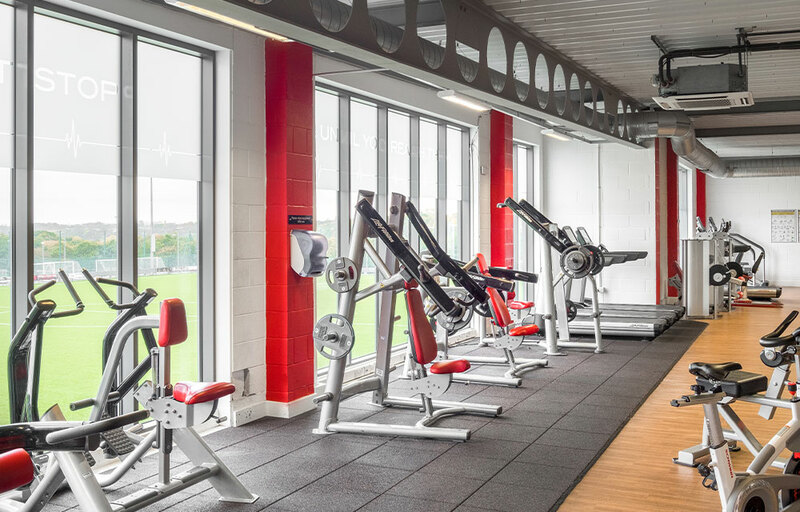 This scheme was a new 27,000sqft multi-million pound Sports Leisure Complex for Woodley FC, in conjunction with Life Leisure. This extremely short program was met to everyone’s satisfaction, to enable Life Leisure to hit their targets. 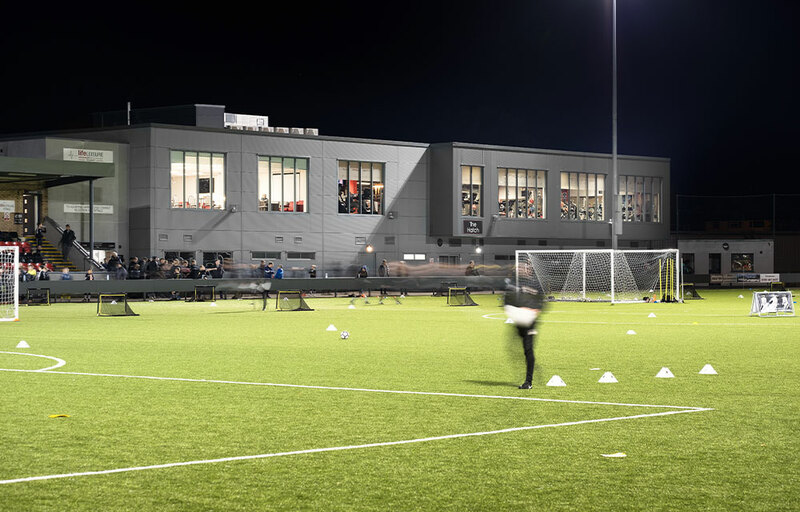 Overlooking the Woodley FC 3g floodlit pitch, sufficient for their semi-professional status in the Unibond League, the centralised layout makes best use of space, enabling the user to move through the internal ‘streets’, dropping off at the various events and activities available. 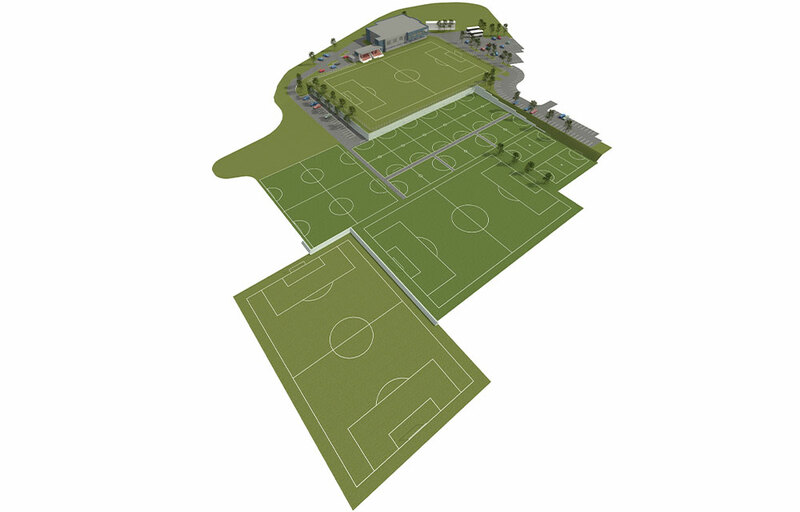 Externally, there is a plethora of 3g five-a-side, three quarter and full-size pitches. Most of the pitches were ‘reclaimed’ from the severe sloping site with hundreds of tonnes of stone and rock formed into gabions, to create incredibly sleek lines offering shelter and buffers to the various levels. 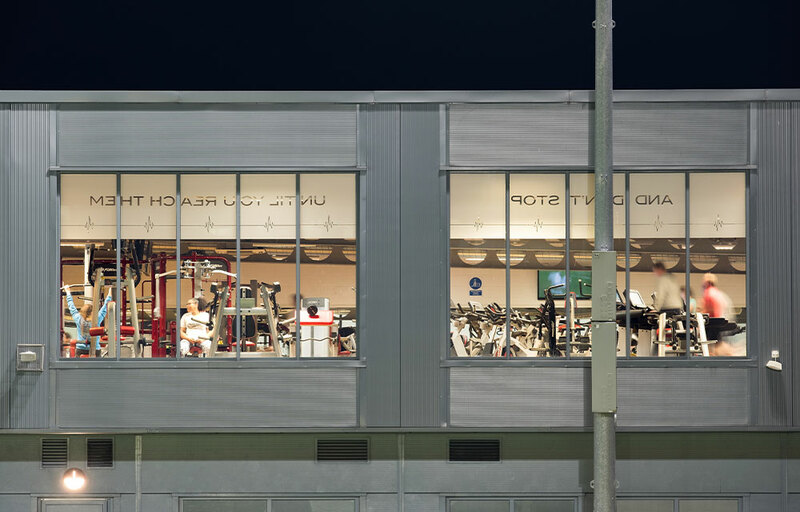 A steel portal frame, clad in differing insulated metal profiles, full height glazing out from the Conference suites and 200+ piece state-of-the-art gym, creates a great Sporting facility.